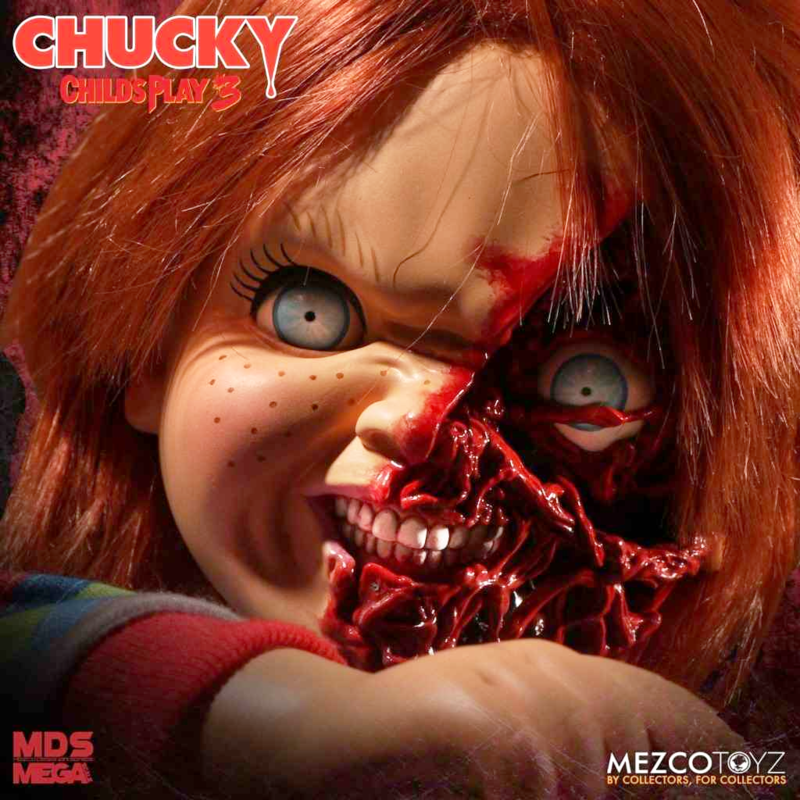 From the Mezco Toyz Mega Designer Scale range, we introduce this Child's Play 3 Pizza Face Talking Chucky. 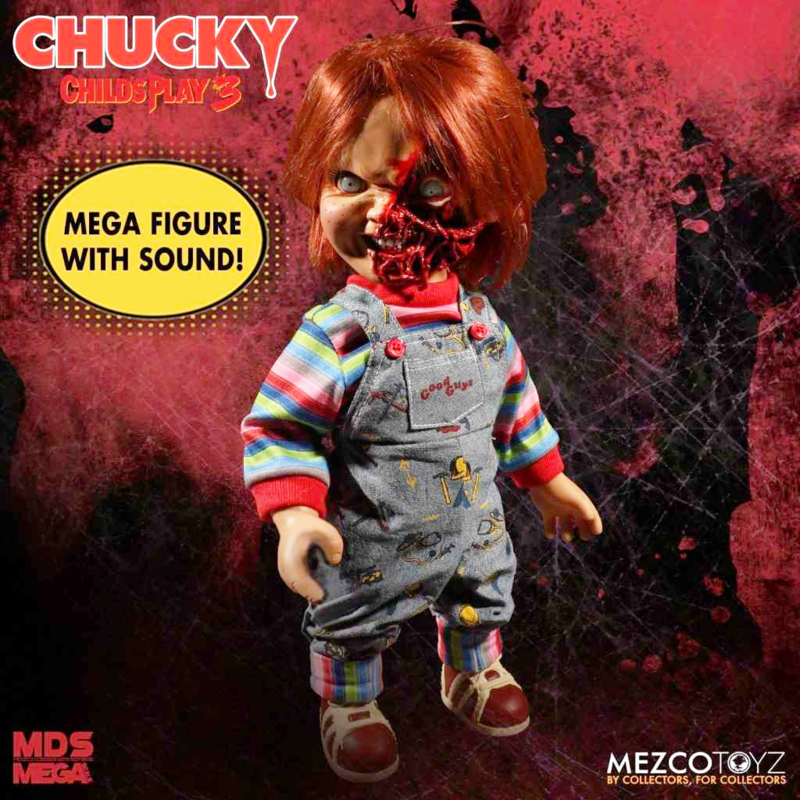 From the very popular Mezco Designer Series Mega Scale figures comes this brand new Pizza Face version based on Chucky from the horror slasher movie Child's Play 3 where he is resurrected yet again. 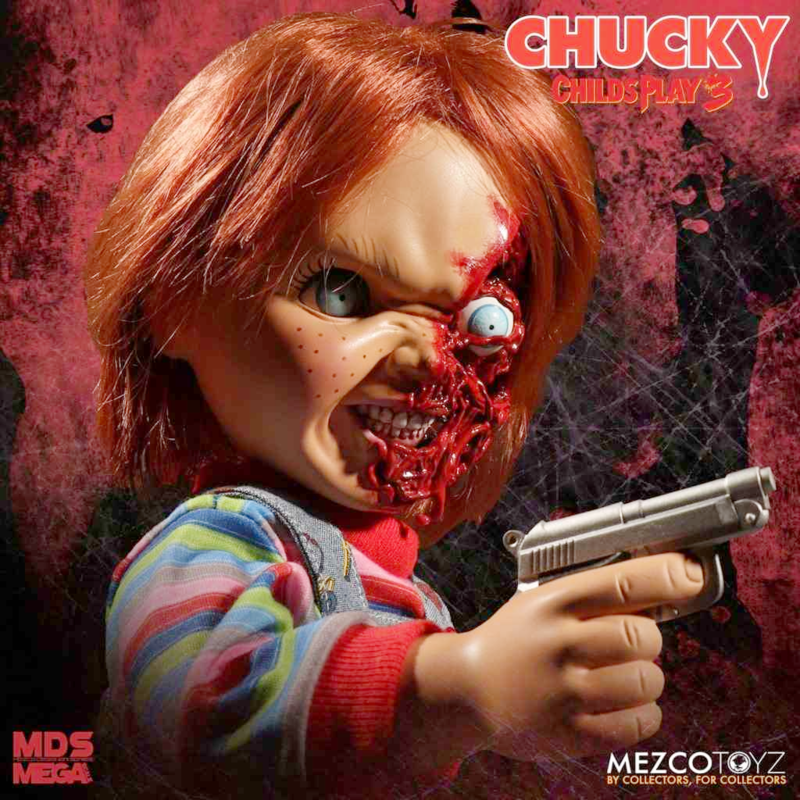 Chucky stands at 15" tall, features real cloth Good Guys clothing including overalls and striped shirt, has eleven points of articulation, trademark orange hair and realistic glass eyes plus the talking feature with several phrases taken from the film including "Hi, I'm Chucky, and I'm your friend to th end!" 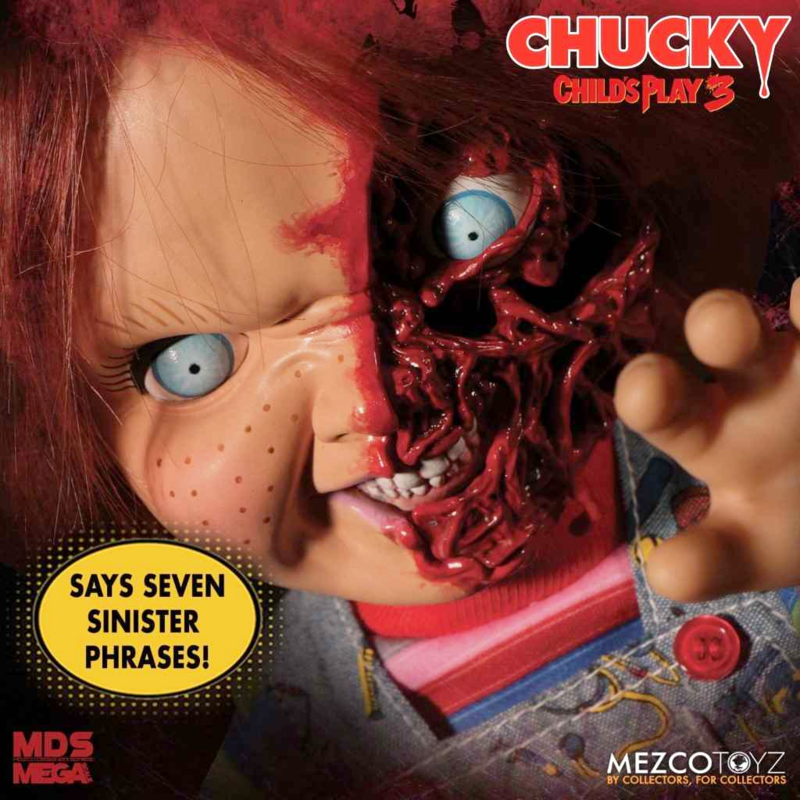 as well as far more spine-chilling phrases. There is also a new additional gun accessory which fits into his right hand. Comes packaged in his own collector-friendly, film-inspired window box. Guaranteed to thrill and be a great addition to any fans collection.